In the early seventeenth century, Florentine priest Antonio Neri wrote the first printed book devoted to formulating glass from raw materials. His work is called L'Arte Vetraria, which translates to "the art of glassmaking." The book became quite famous and this is what he is remembered for today, yet he considered himself first and foremost an alchemist. In previous posts, we have explored the commonalities between glassmaking, medicine and the apothecary's trade. 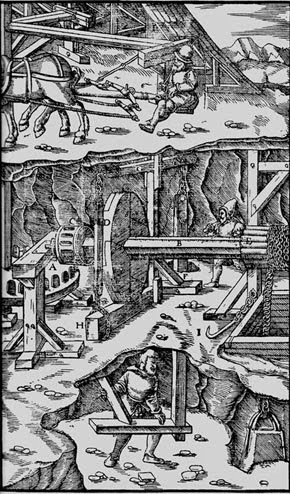 Another field closely connected to alchemy was mining. In his work for Medici prince Don Antonio in Florence, Neri's assistant/disciple was Agnolo della Casa. Della Casa took copious notes of Neri's experiments, and literally filled thousands of pages in notebooks that are today held by the National Library in Florence. Much of this material dealt with the transmutation of metals, and as we have seen Neri was not only concerned with materials, but with their specific place of origin. His first manuscript was titled "Treasure of the World, By Priest Antonio Neri – which [covers] the whole of alchemy with various illustrations, not only of the furnaces, vessels and chemical instruments but with other illustrations concerning the mining of all the metals." For he and his colleagues, mining and alchemy shared theoretical connections but also familial ones. Della Casa had a relative named Filippo Talducci della Casa (1543- c.1615), who was a celebrated alchemist and mining engineer, working in Prague and Krakow for the Holy Roman Emperor. Last but not least, there was also a practical connection. 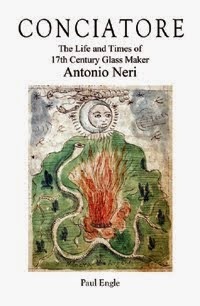 Mining provided many of the raw materials used in Antonio Neri’s glassmaking activities. * For a full discussion of Neri’s Discorso, see M. G. Grazzini, “Discorso sopra la Chimica: The Paracelsian Philosophy of Antonio Neri”, Nuncius 27, pp. 411-467. ** This post first appeared here 30 April 2014.